Divisive forces are influencing attitudes, actions, and policies for the worse. The idea of artists as change-makers, and cultural institutions as important societal connectors is more vital than ever. Through the arts we express our cultures, our identities, our views of the present, and our visions of the future. It’s how we tell our stories, and introduce people to new places and spaces. To navigate the politics of division, we need to have a new kind of conversation about how society deals with fundamental questions of belonging, inclusion, and social connection. We need to talk about our many identities, our many languages, and our many histories, from new arrivals to people who have been here for thousands of years. We need to talk about arts and culture as a shared and shareable language. Calgary, as a vibrant, creative, and ever-evolving city, has much to share about the complexities and challenges of real inclusion, and the role of culture and the arts in fostering belonging. 6 Degrees is a global conversation about citizenship and inclusion. We involve the brightest minds and the boldest methods, bringing thinkers, doers, artists, politicians, and activists together in a unique forum. 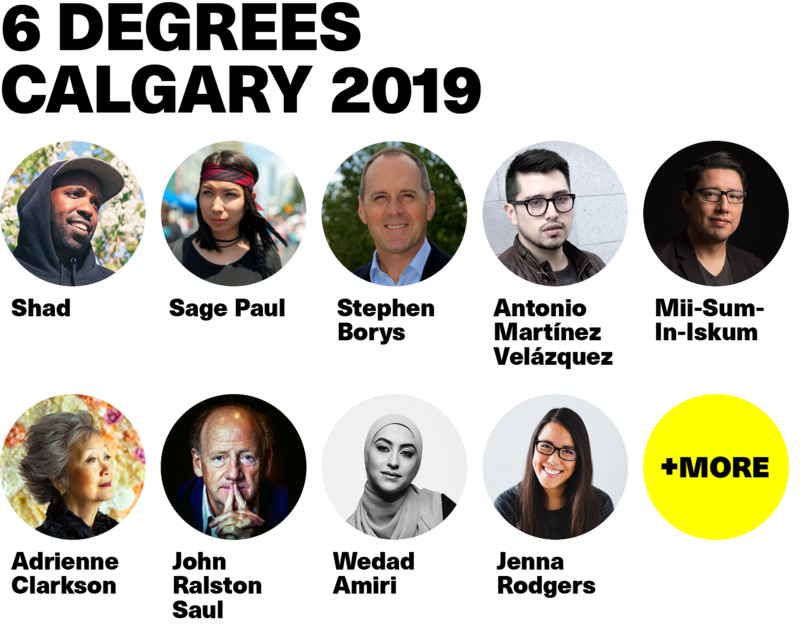 Join us for a full day of engaging and interactive conversation and action on the role of culture and the arts in building inclusive societies. What is the role of culture in the face of division? We know that cultural institutions, and the creators within them, are important connectors. They share stories and histories, they express identities and values, and they help us make sense of who we are. There are many programs, policies, people, and projects that work to welcome, connect, and enable the discovery of new perspectives. What can we learn from them about how we can better serve our communities? How does culture connect us to each other, and why is that so important? Culture is a shared and shareable language. It can turn connection and community into empathy, understanding, and genuine belonging. It holds countless ways to bridge divides, but how do we push further? What can we do better? How can inclusive culture be a tool for change? It’s time for a new vision. Change your language, change your thinking. For centuries, coffeehouses have been meeting spots for lively debates about current events, politics, art, and culture. By interrogating the language we use around inclusion, belonging, and culture, we look to change minds and policies alike. Have your say in defining the terms that matter, and informing the conversations of the day. Arts and culture can push boundaries, can teach, and can create spaces for many voices. But, too frequently, cultural institutions and programs are not focused on welcoming a broad diversity of voices. Who decides what is exhibited, curated, and performed? The design of a space or its contents? The intended audience? And what can it look like when institutions try to include as many voices as possible in each of these decisions? Join this session to explore how to build ideological and physical spaces for people to see themselves reflected in the cultural life of Canada. 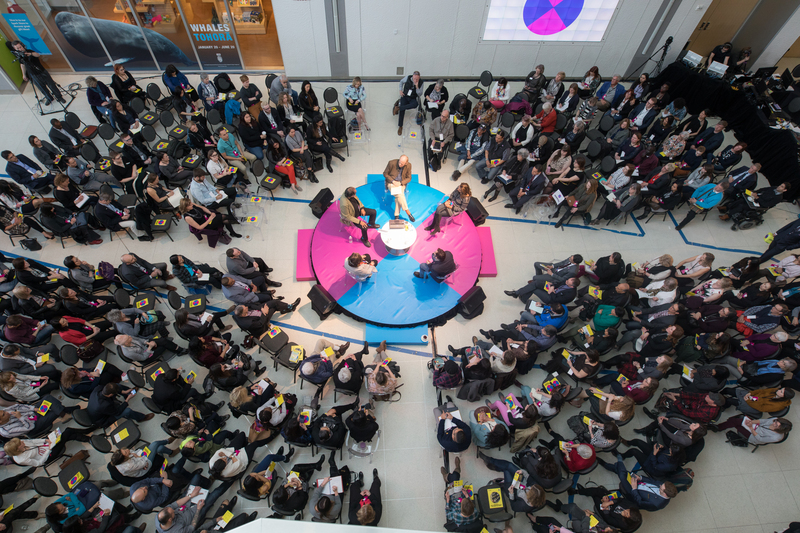 Culture is a clear path to inclusion, but there are many systemic barriers that prevent cultural institutions, policy-makers, and creators from making the sector truly inclusive. What are they, and how can we creatively work through them? Are there examples of projects or processes we can emulate? From other industries? From each other? Join this workshop focused on redesigning policy and practice, and co-creating a resilient and inclusive arts and culture sector. 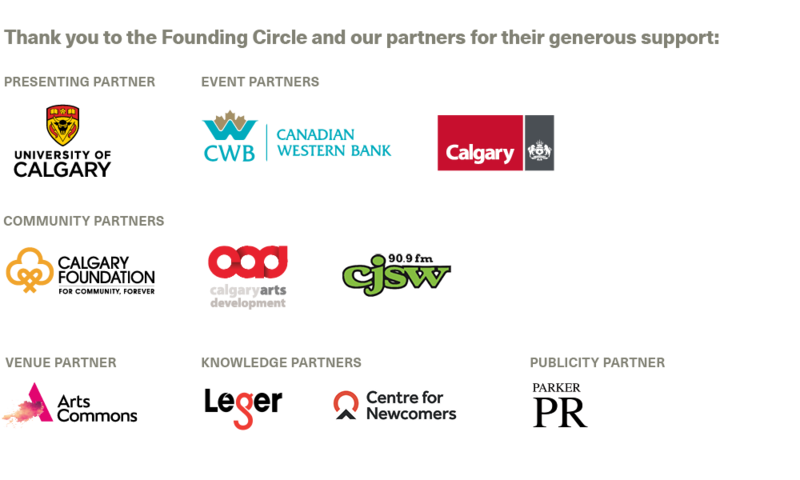 For our final 360, we bring forward key conversations and outcomes from the day of conversations at 6 Degrees Calgary. Calling on any and all in attendance, we open the circle: everyone is a participant, all voices are equal. Together, we frame what we’ve discovered as a group, and decide what the next steps should be.